October, 2015 | Fulcrum ConsultingWorks Inc.
Partnerships are important to long term success, but not every partnership can survive tough times. Consider the most telling characteristics of resilient partnerships. Employee turnover is expensive. 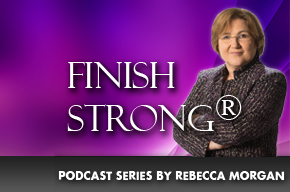 Rebecca explains how leveraging what we’ve long known can prevent unwanted turnover. Are you adequately protecting the data most likely to be stolen? Industrial espionage is one thing; employee and supply chain financial information is in much greater demand.